MSR-NYC is a highly quantitative place. For the social science postdocs, applicants should have strong competence in computer programming, math, or statistics at the level of someone with a Bachelor’s or Master’s degree in CS, math, or stats. Simply meeting the stats requirements in a social science PhD program would not be enough to be considered. In additional to having computational or mathematical skills, only applicants with computational or statistical research interests will be considered. These are thoroughly academic positions. They are good preparation for a career in academia (often taken to defer starting a professorship by a year or two) and are not intended for students looking to move into industry. 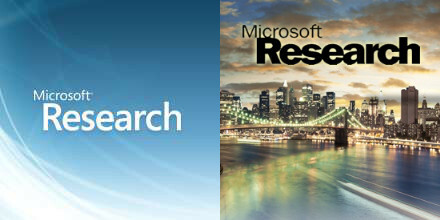 Microsoft Research Postdocs for 2014 was written on October 30, 2013 and filed in Jobs.